Thanks for visiting my blog, feel free to send me a note, comment or question here. Wow! Are you ever organized Dave! Very nice blog site. Good luck with your final planning and I’ll plan to find you somewhere along your walk and spend some time walking with you. Here’s a tip: check out Rail Riders for pants or shorts. They are bomb proof, light, warm and I’ve been wearing them for years; I recommend their “weather pants”. They might be worthy for your trip. And that iPhone4S you’re taking along: my son may have had a hand in manufacturing it, as that is the start of his career, which with more hard work and good luck will turn-out as well as yours seems to have. I was checking your facebook fish pictures: Wow those are some lunkers; looks like you’ve had more than your share of fine fishing expeditions. Great for you. Have a great Christmas Dave! Doug, Thanks…Look forward to catching up, hiking and having a beer with you this summer. Those Rail Riders seem to be very cool, I’ve been checking them out on their website. Let your son know that I’m enjoying my iPhone and plan on using it a number of different ways on the trial. Merry Christmas to you as well! Good luck on your Thru! We usually set up all you can eat half pound cheeseburgers and mountain dew trail magic at Tray Gap a couple of times during thru Hiker season (march). May do one early and then one later. As early as you are heading out, we’ll probably miss you. Have a ball! best of luck on your journey, mighyt jealous! I hope you have a fantastic journey and I look forward to following along. Thanks…made the change. I hope to meet you out on the trail. Great Blog. Love the setup of the page. Can you tell me how you got the little strip map of the AT on the right hand side. I am trying to add that to my page. Thanks! Good luck to you on your hike…I’m leaving out a month before you. Try this WordPress support link @ http://en.support.wordpress.com/widgets/image-widget/, it may help you better than I can explain here. If you still need help just let me know and I’ll walk you through it in another way. I got it on there but it is tiny. Or when I hit don’t shrink to fit page its huge. I will keep playing with it. Thanks! That’s awesome you got the green light!!! Good luck to you. I hit the trail the 29th or 30th!! Its the big day hike safe have fun and giddy up!! Wishing you the best of luck!! Thanks…life on the trail is going good! Hope all is well with you and Zac. Happy Trails, David!!! Hope you had a great first day! We’re ready and waiting in NY to bring some trail magic! Thanks Sarah…looking forward to NY…never been there. Tell Andrew hi! OK – I am living vicariously through you! I now have your blog on my phone favorites and will be looking forward to your posts! God Speed! Thanks Bob…enjoying the text messages as well! Hey Man Its Dave the guy from your first night on Springer after the Approach Trail. Glad to see your makin it. Keep going and don’t look back. Thanks for looking me up! Going great so far..just taking one foot step at a time. Rob sent me your link yesterday and I enjoyed reading about your adventures so far…you are awesome man! Be careful and have fun. Thanks Stan…Hope all is well!! OK, so I have a full day off and the rest of the family is out of town, so I’m just now catching up on the blog. I enjoyed the “Livin’ on a Prayer” video, but the Ga Tech guy with dog was nothing short of awesome. Been on that Tray Mtn hike several times in the winter and understood the quick shift in weather on the exposed ridge all too well. Nice to have some trail magic to follow the storm. “Whitewater”? Perfect. Stay well; keep walking. Thanks Todd…It’s work but having a great time!! Great website Mr. Lang! It makes me want to be out on the trail myself. Although I can’t be hiking right now, I am coordinating a 2013 relay-hike of the Appalachian Trail through grant funds from Outdoor Nation and support from the U.S. Fish and Wildlife Service. Since you’re hiking the AT right now, we’d love your input at our planning workshop at the National Conservation Training Center (NCTC) in Shepherdstown, WV, on May 4-6, 2012. This project hopes to target communities of youth that live close to the Appalachian Trail (AT) and inspire them to visit it more often. Each week, a new group will hike a section of the Trail closest to where they live. They will be joined by an environmental or educational leader in their community as well as a leader trained by the Children & Nature Network and the Sierra Club. Over the course of the 2013-year, over 600 youth will have experienced the trail, and hopefully many more will have felt part of the journey by following blogs and status updates. To achieve this goal, youth participants will be asked to use social media before, during, and after their section hike. We hope this incorporation of smartphone technology will begin to reconnect our current generation of youth with the great outdoors. If you’re interested in attending, we could rendezvous somewhere on the trail and drive you to NCTC for a couple of days of lodging and food we’d provide. We could then drop you back on the trail after the meeting. Let me know what you think either way. Matthew, very interested..not sure if the logistics will work this year for me. I’ll be glad to send you my cell phone number so you can send me a text on additional details. Thanks again. Yeah Dave, you have traveled over 20% of the trail. Congrats on your progress! Looking forward to more awesome photos of the incredible landscapes you are enjoying along the way. Thanks Henry!! Having a great time! Thanks Jane!! Tell Stan to bring you down to OBA next time. I appreciate the thoughts and prayers! WDE!! I’ve been enjoying reading about your trip and the great photos. Your blog site is excellent. Have fun and stay safe. WOW Dave! From the Ocean to the Mountains. I feel as though I’m with you all the way. I’m picking you up in VA and have enjoyed all the beautiful pictures. What a wonder experience and lifetime journey. Barb and I wish you all the best as you track through the wilderness to Maine. Thanks Ed! Having a great time on my journey north! Hope all is going well, please tell the family hello for me. Let’s go fishing in the fall. Take care! Yo Dave! You’re getting closer to PA and I’m getting psyched to join you for a walk. I left a message with Mary for an update on your progress. You’ll be in PA in no time and I’ll be meeting you maybe at Caledonia. let me know if you need refills of anything what so ever and i’ll bring it along for when we meet. I’m really looking forward to catching-up after so many years post Yellowstone. See you soon. Doug, I’m in Pearisburg, VA today with 630 miles completed. Looks like I should get up in PA by May 25th or so. Look forward to seeing you. I’ll touch base with you about a week out from PA. Ask Mary to give you my cell phone number as well. I turn it on a couple of times a day to check my text messages. Take care. Dave, enjoyed catching up via blog today. It’s cold in Atlanta this am and my first thought was “wonder where Dave is and how cold it is?”. Your trip looks incredible and photos were really enjoyable. 27 miles??!!!! Wow! Thanks Bruce..It’s been pretty cold with some snow here in Virginia as well. All part of the journey. Sounds great…+/- May 17th. Looking forward to it!! We are so excited with your progress and photo journey. The sun is warm and the sky is blue here in Alabama, hope the weather in Virginia is just as beautiful for your travels this week. Take care! Thanks guys…I hope Mr. Grady’s recovery is going well! I am on the way to my place in the Philippines for summer break! Your pictures and comments are so cool to read. I have shared them with my Sixth grade Science classes and talked about biomes and deciduous forests. We are studying them right now. You might get some comments from them! Take care! I will be following your trip. I also intend to make a contribution to your worthy cause! Someday you must come to the Philippines or Taiwan and I will show you a good time! Jim Hickey!? Great to hear that name again. Jim, I hope you’re well. Enjoy the summer in the Philippines. If you’re ever in Atlanta, look us up. We’d love to catch up. Over half way! That’s terrific. Enjoy the process. You are almost to the 2/3 mark!!! You are in the “speed” lane. We are enjoying all the photos and are thankful you are staying healthy. Grady’s ankle is better and he was able to ride the emerald waves on surfboard and in kayak with Henry at the gulf. They had fun!! Take care. Go Dave Go! It was great catching up with you after so many years. I just spoke to Mary on the phone; hopefully we can catch-up again along the coast of Maine. Hey Henry! Remember me? I just spent the weekend at your company owners’ “Chester County Blues Barbecue”. The Bentleys live in the same town as me. This was the 3rd annual and lots of fun. Maybe I’ll see you when I come to go fishing with Dave. And Jim Hickey: Remember me? You took me to Glacier Park summer maybe 1981. Dave updated me on your teaching assignments. Nice to hear. Hey Doug! Great to hear from you! When are you going back to Yellowstone to work again? 🙂 Most of the Yellowstone gang is planning for Yellowstone to be their second career. I would like to hear about the Bentley Chester County Blues Barbecure. A group of Bentley folks actually have a band. Sounds like a good time! Glad you could catch up with David on the trail. David, you are like a horse heading for the barn now! 29 miles in one day…wow! We are all walking the trail vicarously through all your pictures. You really have some awesome shots! Cannot wait to hear all the stories. Enjoy the journey. You are our point man to find all the best spots for us to visit…taking a more direct route of course:) Take care and have fun!! Doug, That was Henry’s reply above…under my name. Doug, greatly enjoyed catching up! Please plan a trip south! Take care…will be in touch!! I’m from Germany and discovered your blog by conincidence. It’s such a pleasure to follow you on the A.T. Thank you for sharing your adventures; it’s so much fun to read. I hope to be able to hike the trail as well one day. Good look for the rest of your journey!! Try and stay dry, we are leaving for Ireland Sunday, it’s their rainy season, (avg 28 days rain/mo) I am glad you prepared me for all that precip! Will do…Hope your trip is going great to Ireland! Get some syrup while youre in VT. Send that rain down here! Thanks..Bob!! Hope all is going great! Let’s do some paddling when I return. Found your blog accidentally and glad I did. Thoroughly enjoyed reading through it. My wife and I thru-hiked in 98′ and it has brought back many wonderful memories. You are going to absolutely love Maine!! Hike safe and have a great time…. Hi Dave, I am just in awe everytime I check on your page. What an amazing journey this is for you! The pictures are so wonderful. I can’t even begin to imagine doing something like this. Stan and I are keeping you and your family in our thoughts and prayers. I look forward to meeting you all one day!!! WAR EAGLE…… hope to see you on the Plains this Fall!! Jane…Many Thanks!! Awesome journey!! Please tell Mr. Stan hi as well! It’s been great following your adventure on this blog. Sorry I missed you in TN as I was traveling that week (as usual). Awesome pics…thanks for sharing. Hope to see you guys in Auburn this Fall..we just got back from Camp War Eagle with Emily. I don’t know who is more stoked, her or me! I wish I was going back and SHE was paying for it! War Eagle and stay healthy! Amazing accomplishment so far! I met you at Speck Pond, we both were at Yellowstone in the early 80’s. It was a pleasure meeting you and sorry I missed you at Sadlleback although I saw some of the bubble there, I did meet another hiker up on Saddleback who has a blog and lives somewhat close to you in Georgia, we had a good talk and I forgot his name but would like to check out his blog. If you come down the coast give me a shout, I live in Camden, and maybe we will bump into each other again in Portland as I will be there on August 8-9 to see the Old Crow Medicine Show, a great bluegrass band and you will be on your Lobster-fest (quest?). I a home for a day then headed to the Whites for 5-6 days of hiking. Enjoyed meeting and talking to you as well. The hiker you may have meet on Saddleback may have been “Keep Moving” he’s from Georgia as well. I should be in Portland right arond that time…so maybe I’ll run into you again. Take Care…hope you had a great hike in the Whites! Dave, you don’t know me but I am good friends with your cousin Larry Langford. We just went through your trail experience and I am very impressed. I know I don’t have the time to do the entire trail at this time as I am a single dad having a 12 year old daughter to raise, however, you inspired me to get out there with nature. Congratulations on your journey to Maine. Thanks for checking on me and the comments. Please tell Larry I said hello. Thanks Chuck..Hope you and Linda are doing well! Whitewater-Dave, I have enjoyed following you on your blog since you were in Damascus. You have brought back many great memories I have of my short time on the AT in 2011. Because of my left ankle I was off the trail for some time and not able to finsih. I hope that some day I can fininsh my hike. Maybe, My wife and I might see you at Trail Days in Damascus next year. We volunteer with the First Baptist Church during Trail Days. I’ll be the one wearing the A&W ballcap. I’ll love your pictures and notes on your blog. Enjoy the rest of your time on the trail. I’ll be following. Thanks again Will. I’ll look for you in Damascus next year. Thanks, Uncle Jim! Hope all is well with you guys! Bravo! Enjoyed following your hike all the way to Maine! I look forward to hearing your tales from the trail. Now it is back to keys, doors, four walls, and the sedentary life. Whitewater: Great hike, really enjoyed your site and used it to illustrate to many colleagues the wonders of the AT! Fantastic descriptions and pictures, a job well done! I was told about your journey from Brad Sanders. I am so so impressed and inspired! I read the book “A walk in the woods” and have wanted to do the trail ever since and for many of the reasons you stated you wanted to experience it. Back to basics/ simplicity of life. I am a single parent so I will have to do it later in life but I have *thoroughly* enjoyed living vicariously through you. SO AWESOME!!! Thanks so much Sarah!! Greatly appreciated!! Congratulations and enjoy telling the stories. I just happened to stumble across your blog. OUTSTANDING. Well organized, easy to read and follow and great pics. I was following Rayo’s trail blog and was in Harper’s Ferry back in July and ran across a thru hiker named “Fozzy Bear”. Not sure if you ran across him. He has since ended his hike due to tendenitis in his feet. I will be retiring from the Navy (Submarine Force) in April 2013 and plan to have boots on trail April 15th for my through hike. Again, thanks for the great blog. Take care and congrats on your accomplishment. Steve…Thanks!! Just let me know if I can help you when you get down to Georgia next year for your hike. I don’t know Fozzy Bear but I did know Rayo. Anyway..many thanks for your service, I hope you have a great retirement. ENJOY!! Dave thanks for putting this blog together. This was very inspiring, my girlfriend and I are wanting to thru hike and head north. Do you have any words of wisdom/encouragement? Adam, Thanks for checking out my blog! My only words of encouragement would be Go For It, Go For It and Go For It! If you love being in the outdoors…my wisdom, it’s a journey not to be missed! Thanks for stopping and talking to Trevor and me while on the AT in the Smokies on 12/29 between Tri-Corners and Pecks. Appreciated hearing what worked and what didn’t as we plan for Trevor’s southbound trip in July 2013. Enjoyed reading about your trip. Great pics. Thanks…Great to meet you guys on the the trail the other day. If I can help Trevor on his journey this summer when he gets down in the Georgia area just let me know. Will be glad to shuttle him around where he needs to go. Take care and Happy Trails! Just a quick question- did you update your blog with the wordpress iphone app?… or some other way? I’m finding the wordpress app to be a little slow for me. On the the trail I found it to be very hard and slow trying a use my 3G on my IPhone. My IPhone just used way to much power trying to find and stay connected than what it was worth. Probably just writing a post in Airplane Mode and then posting it would work fine. Adding photos to WordPress, even when in town, can be very time consuming. You’ll also find that a lot of the general access computers that you will come across are older machines with slow internet speeds. I took photos with my IPhone and Sony Camera (better photos) both so I also had to wait till I was in town to transfer my camera photos over. Hope that helps. Please let me know if you need any help between Atlanta and the trail. A few of us from last year will be doing trail magic at Stecoah Gap on the weekend of March 22nd and 23rd. I am somewhat of a novice when it comes to hiking. My dad and I did some hiking in NH but that was 30 years ago. I’m getting back into it now. Anytime I hike somewhere new I always have concerns about getting lost even with maps, compass, and gps (better to worry too much than too little in this regard). I am going to hike the BMT from Springer Mountain to the Georgia – Tennessee line sometime in the spring. How well is the trail marked, spacing of blazes, etc.? Should I have any major concerns? Like I mentioned in my BMT thru hike post the tough areas pretty much lay between the end of Jacks River or Daily Gap in Georgia to the Twentymile Ranger Station at the entrance to the Great Smoky Mountain National Park (GSMNP). The trail will be marked very well until your last day of hiking in Georgia. From the end of Jacks River over to the Ocoee River you probably won’t see a blaze at all for most of that day until you’re a couple of miles away from Thunder Rock campground on the Ocoee River into Tennessee. I would hope a new sign has been installed coming out of Jacks River by now, but who knows. Take a map with you for that last section of Georgia and you’ll be good to go! Good luck and enjoy your hike! If you have another question, please feel free to ask. Whitewater! Bumping around the internet, re-hashing old memories, I stumbled back onto your blog! Salutations from a long-lost friend, dare I be presumptuous enough to use that term. 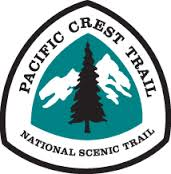 Congratulations on planning to hike the PCT this year! That’s fantastic news, and I absolutely wish you the best. I also owe you a hotel room, or some trail magic equivalently splendid. I’m living in Seattle now, and it would be a true honor to be able to help you out in any way possible as you pass through the general vicinity of my region. Let me know if there’s a non-public way I can give you my contact info, but otherwise, I’ll try to remember to track your progress and reach out to you when you’re close. Hope all is well for you in Seattle! If your cell phone number is still the same I’ll send you a text message with my contact info. It would be great to get together when I’m up your way in Washington…I’m thinking very late August if all goes to plan. Miyeko let me know that her friend, Elijah from the ski shop at Snow Lodge is one day behind you. It is like you are Yellowstone brothers. I may have to have him up for a meal and a hot shower too. Dawn, I’ll try and look for her. I’m taking my first zero here in Idyllwild today, so she may arrive in town this afternoon. Hope all is well! Happy late Easter! I just had a beer with Wick, and he said you were out West walking around for awhile. Anyhow cheers from the LA! Cheers Clayton! Hope all is well! Save a beer for me in the fall! I still have that beer for you! Lets do it! Where are you these days? Hope all is going great! Thanks Kerry! Looking forward to the visit and meeting your family. Things are going great! Hope you’re enjoying your journey on the AT. I look forward to visiting with you when we both return home. Hey David, you are starting to get closer to our neck of the woods. I hope that it hasn’t been smokey where you are at. Mary said that she wasn’t sending a resupply box to us here in Bishop. Are you picking one up in Independence? Let us know if you are. If you hitch out we could drive down and met you for some grub. There is not much in Independence but we could drive you to Lone PIne. We or Les depending on the day, could also met you with your resupply at Kearsarge Pass as long as it is not May 25. Let us know if we can help. Niki saw 5 bears yesterday in the park. Three were grizzlies. I am enjoying reading about your adventures. After a tough but fun three days in the snow I made it down to Lone Pine. Was originally planning on coming into independence / Bishop which is also a 7 1/2 mile side trail one way. So going to rethink my plan since the snow slowed my pace a bit. Will try a let you know what my plan is later tonight. I’m beginning to think Mammoth may be the location now to meet up with Mary, Bill and Yvette. Hope all is well…not sure how for a drive Lone Pine is from Bishop, but if you guys are interested in dinner here, just let me know. Received the bear canister. We will think of you when we are using it. You will know where to find it when you need it. It was great seeing you and your family. I hope that your leg is better. I wondered if it was from descending half dome. Hello again. I’m glad that you are all healed. We spent time in Shasta and Mt Rainer on our trip in June. Both are wonderful! We used your canister over the 4th of July weekend. It worked great. I like it better than the black ones we always rent from the forest service. Keep having fun and tell Lauren hey for us. Will do! Looking forward to visiting with Loren. Glad the bear canister is working out for you guys! Enjoy!! Look forward to seeing you soon…then you AND Mary!! Stay safe and see you hopefully tomorrow night!! Hey David! I got a text from Mary that says that you made it. Congrats, that is awesome! My family enjoyed the JMT, but they decided that that was long enough. They (we) thank you for the use of the bear canister. It worked great! We bought one, used yours and got a loan on another one. Would you like me to send yours your way, hang on to it so maybe your friends from the Appalachian trail could use it (if they haven’t left yet) or try to sell it here in Bishop at the used outdoors shop? No worries, or maybe you want us to hold it for when Mary and you come back to hike some more in the Sierras. Sorry I’m late…but many thanks!! Glad you guys enjoyed the JMT, it’s truly an awesome trail. Just hang on to the bear canister, I’ll let you know if I ever need it back (CDT 2016 🙂 maybe). Looking forward to seeing you guys next fall down here in the South for the Dew Crew Reunion. Todd S thought that you might consider speaking at Decatur Pres at our Fellowship Breakfast. We have one coming up on Nov 1. Would you consider that? It would be a great follow up to Jonah MacDonald, also a through hiker. Let me know if you are interested and we can discuss the idea. Thanks for the invite, but public speaking like that is really way out of my comfort zone. Hope you guys understand. Thanks for visiting my blog. Congrats on the PCT Whitewater!!! You continue to be an inspiration to me and everyone that has ever had the privilege of hiking with you. I hope everything is going great for you! Are you still out in Texas these days or where?? Any additional hiking plans on your end? Love your Conquistador image. Do you license your images, we would like to put it on a bandana. We work with the National Parks. You’re welcome to use my photos, would like to know where they end up. If you let me know which ones you want I can email them to you in a higher resolution. Hi David, We are looking for bloggers who might be interested in taking a look at National Geographic’s new AT topographic map guides. I’d love to tell you more about it. If you drop me a line where I can email you, I’ll be happy to do so. Stennis Space Center, MS … my buddy and I were just comparing fishing stories and I was looking for your old website. Awesome…the Reel Content website is no more. 😦 If you’re ever up her near N. GA mountains you know you always have a place to stay and have some fun. Hello Whitewater!!! I see you’ve been having some amazing travels!!! Not gonna lie I’m a tad jealous. Anyway I suppose I should state who I am, it’s your 2012 thru hiking alumnus “Boxhead”. I’m sure you can recall the poor soul that just disappeared on you while hiking in front of you in that huge rock canyon. I am contacting to see if you’re still on schedule to start your CDT thru hike this year. If so I wanna extend a place for you to rest a few days in the Denver, CO area. I am now living in Erie, CO with my wife and 2 year old son. We were blessed enough to get out of frozen Wisconsin! Be great to see you again!!! Can’t believe 5 years has pasted since the AT thru hike, boy does time sure fly!!!! Hope to hear from you on your CDT plans. Till then take care and stay warm because I’ve seen the southeast been getting hit hard with some cold. It’s great to hear from you Boxhead! Thanks for the message here on my blog. Yes, I was planning to do a CDT thru hike up until about a week ago when I found out that my work schedule may not allow that this year. I may need to change back to section hiking the CDT for now. I haven’t completely given up on a thru hike yet, but I’ll need some more time to figure everything out. To many fun kayaking adventures have been getting in the way over the past couple of years, so it’s definitely slowed me down on my last long trail. I’ll keep you posted on my plans in the next month or so. I would really enjoy visiting with you and catching up. Sounds like you’ve made some big changes in your life since the AT. 🙂 Congrats to you and your family. That’s just Awesome!